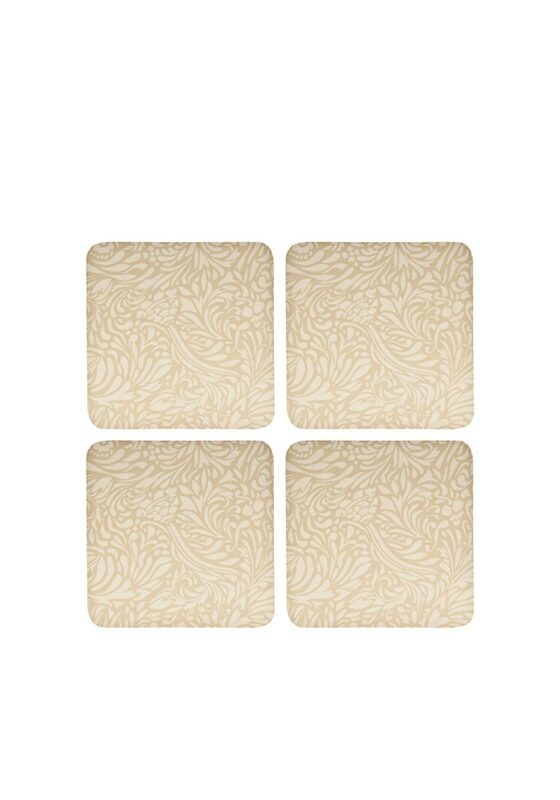 A set of four elegant coasters from the Denby Monsoon range. They come presented in a square shape with an exotic allure print in tones of cream and gold. The perfect way to protect your table from hot cups.